Deciding what India tour to go on can be difficult. After all, there are a lot of companies to choose from. However, Canadian-based G Adventures is one company that you must consider. Why? They're the largest small group adventure travel company in the world and they offer a HUGE selection of small group tours in India, ranging from shoestring tours for 18-to-Thirtysomethings on a budget up to comfortable immersive National Geographic Journeys for those who want that little bit extra. You'll find that their tours are unique, authentic, and out of the ordinary (including some epic rail trips!). We take a look at their most popular tours in this article. If you're young and prefer to travel on the cheap with like-minded people, also check out these niche G Adventures India Backpacker Tours. Note: Non-discounted prices are shown here. If you book during the off season, from March to September, you can save up to 25%. This tour is perfect for those who'd like to travel comfortably, yet be immersed in some off-beat destinations in Rajasthan in addition to the usual favorites, and stay in heritage properties. In Mandawa, in the Shekhawati region, you'll be able to see magnificently restored painted havelis (mansions). Bikaner includes a visit to the famous rat temple, and there are opportunities to explore rural villages and markets as well. Destinations: Delhi, Mandawa, Bikaner, Jodhpur, Chandelao Garh, Jojawar, Udaipur, Jaipur, Agra. Style: National Geographic Journeys/Upgraded. A similar classic-style 15-day Rajasthan Adventure is also offered, including Ranthambore National Park instead of Bikaner and Mandawa. This tour is a fabulous blend of iconic cities, rural villages, historic monuments, and spirituality. It will give you a diverse experience in India -- one that's the perfect introduction to the country and full of fascinating photo opportunities. Activities include village cycling, early morning hike, visit to paper making plant set up to assist tribal women, cooking class with local family, boat ride along the Ganges River, and visiting temples and markets. Destinations: Delhi, Jaipur, Dhula village, Abhaneri, Agra, Orchha, Khajuraho, Alipura village, Varanasi. Style: Standard. Some legs of the trip are by public transport. 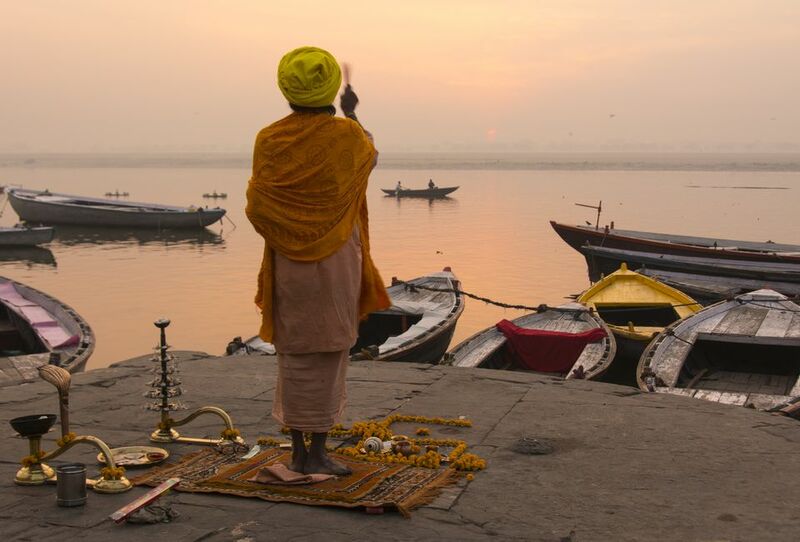 If you're someone who likes to get involved and try out new things, but at the same time maintain a certain level of comfort while traveling, this immersive Discover India tour is perfect for you. In addition to sightseeing, you'll be able to explore a Rajasthani village and interact with village tribes, take a yoga class, go wildlife spotting on safari with a naturalist, hear a talk about the Ganges River and go on a boat ride along it, and shop for spices with and Indian family and get a cooking lesson. Destinations: Delhi, Varanasi, Khajuraho, Agra, Ranthambore National Park, Jaipur, Jojawa, Udaipur. One of the newer tours to be offered by G Adventures, this immersive trip is designed to cater for people who have limited time available but want to see the best of both north and south India, and travel in comfort. Highlights include meeting a local historian and sociology scholar in Jaipur to learn about Indian culture, staying in a heritage home in a village and talking to the village head about community issues, meeting with a local spice expert, attending a Kathakali show, canoeing through the Kerala backwaters, walking through the paddy fields and villages, getting a cooking lesson in a family home, finding out about wetlands conservation, and having an Ayurvedic treatment. Destinations: Delhi, Agra, Jaipur, Sawarda, Kochi, Kumarakom, Alleppey, Cherai beach. The Best of Southern India tour will take you on an odyssey through spice plantations, backwaters, temples, and jungle. You'll need to be adaptable as all modes of transport are used -- train, bus, auto rickshaw, bicycle, and country boats. The tour offers a great balance of guided excursions and free time to explore on your own. Destinations: Kochi, Wayanad, Mudumalai Wildlife Sanctuary, Mysore, Mamallapuram, Pondicherry, Madurai, Thekkady, Kerala Backwaters. This rail journey will take you from Goa to Kochi via some of Karnataka's most popular destinations. You'll get to see the breathtaking yet eerie ruins of Hampi, and opulent palace in Mysore, Buddhist monastery, coffee plantation tour in Coorg, coastal Kannur, and atmospheric Fort Kochi. This tour will take you off the beaten path and to the mountains, traveling by vans and local trains (including the famous Darjeeling toy train). You'll get to participate in a cooking demonstration with a local family in Kalimpong, explore Rumtak monastery in Sikkim, visit a tea estate in Darjeeling, and cruise down the Ganges at sunset. Destinations: Kolkata, Kalimpong, Gangtok, Darjeeling, Siliguri, Varanasi, Lucknow, Delhi. Starting from Farakka in West Bengal, this remarkable "small ship" adventure will take you along the Ganges river to visit remote villages, magnificent temples, historic battlegrounds, serene gardens, and Hazarduari Palace with 1000 ornamental doorways. This is fascinating local Indian life that you won't see in big cities! Destinations: Farakka, Jangipur, Baranagar, Murshidabad, Berhampur, Katwa, Matiari, Mayapur, Kalna, Chinsurah, Chandannagar, Barrackpore, Kolkata. Style: Upgraded aboard a special 24 passenger boat. Have a month on your hands to explore both north and south India? India Encompassed is the ultimate tour. It combines city streets and rural spirit, and will really show you just how diverse India is, as well as give you understanding and insight into the country's people and culture. Highly recommended! Destinations: Delhi, Jaipur, Agra, Abhaneri, Orchha, Khajuraho, Varanasi, Kochi, Wayanad, Mudumalai Wildlife Sanctuary, Mysore, Mamallapuram, Pondicherry, Madurai, Thekkady, Kerala Backwaters. Over the course of six weeks, this epic rail journey will take you right around India. As well as visiting diverse destinations, you'll get to have meals in family homes and live like a local. The trip includes seven nights on sleeper trains, 37 nights in hotels, and one night in a homestay. Destinations: Delhi, Jaipur, Agra, Udaipur, Bundi, Mumbai, Goa, Hampi, Mysore, Coorg, Kochi, Kerala Backwaters, Kanyakumari, Madurai, Visag, Mahabalipuram, Puri, Kolkata, Kalimpong, Gangtok, Darjeeling, Siliguri, Varanasi, Lucknow. Really feeling up for adventure? Add on to the above rail trip the Golden Temple and Wagah Border, Tibetan culture, British India, and the historic Shimla toy train. There are 44 nights spent in hotels, eight nights aboard sleeper trains, and one night at a homestay. Destinations: Same as Ultimate India by Rail (above) plus Amritsar, Dharamsala, and Shimla. This fabulous Delhi to Kathmandu Adventure tour combines color, chaos, and history of India with the pristine mountains of Nepal -- so you get the best of both worlds! Some legs of the journey require lengthy travel overland by road, so the trip isn't recommended for those who may find this uncomfortable. Destinations: Delhi, Jaipur, Agra, Orchha, Varanasi, Lumbini, Chitwan National Park, Pokhara, Kathmandu.